Yeah, they’ve mostly been superceded by DNA lately. But back in the day, there was nothing like a good clear fingerprint to get a law enforcement officer’s blood moving. Here are four true crime fingerprint cases pulled from history. 1. The first crimes solved through fingerprints… includes Francesca Rojas (1892), Harry Jackson (1902), and the Mask Murders (1905). Yeah, three in one. 2. The Question Mark Burglar… an unbelievable case from 1920. 3. 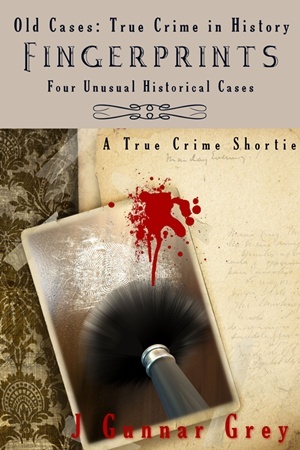 When the victim’s fingerprints count the most… the Urschel kidnapping case from 1933. 4. Beyond bizarre… the strange case of cop-killer George Ross (1951).